I don’t know what was squeezing tighter in Love Island this weekend; Terry’s arse when Malin returned or Adam’s jaw when Katie coupled up with Sophie. 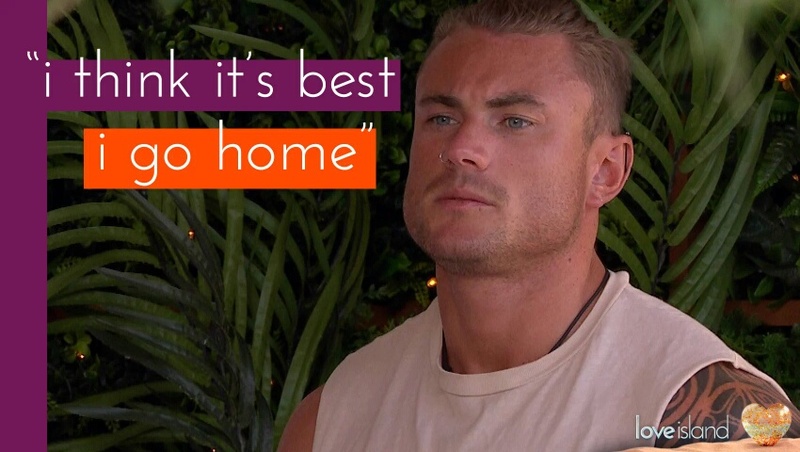 When it comes to creating awkward moments, Love Island is up there with Dinner Date as their latest shock saw original Tom Powell threatening to leave the house. I was gonna write this post yesterday but after I saw the previews of last night’s show, I had no choice but to wait. Is there anything viewers love more in a reality show than the housemates or contestants secrets being spilled? We’re always lucky enough to know what’s being said behind their backs, so it’s only fair they should know the truth. Right? I dunno why Liana was so unhappy, cold tea is great for sunburn… But more on that later. I’d seen on social media that Moany Malin wasn’t the most popular of girls but I was as shocked as anyone when she was in the bottom three, let alone the least popular. I suspect the people of Chelsea have pretty high phone bills right now, because with all due respect; Tina has the personality of soggy bread. And not the expensive stuff from a deli in Kensington, but the cheap branded loaf you get from your local mini-supermarket. Plus anyone who can ‘lose their car for six months’ doesn’t deserve any potential prize money. As the boys said: “#RichGirlProblems”. Although Terry instantly stated he was ‘doing a Rykard ™’, we know from that exit that the producers will try to persuade him otherwise. It’s actually quite amusing that their meddling actions could well damage the show. The thought that people would actually find love and want to stay loyal clearly never crossed the producers evil minds. They are currently beating Big Brother in comparable ratings, but I don’t see that continuing if we have to watch Terry or anyone else pining for their one true love. But before we see if he does leave, there are serious questions that I need answering. * Has Adam not yet realised that he’s not going to find love on this island? His dislikes tend to be a prerequisite for most of the villas female inhabitants. * When will it actually be Kady’s last chance with Scott? She’s had so many I’ve actually lost count. At this rate they’ll be celebrating their Ruby wedding anniversary and she’ll still be mugging him off. * When will Cara realise that she has a good one in Nathan and stop looking for stress that isn’t there? Soon I hope as I’ve tipped them as the winners. * How funny was drunk Agent Olive trying to reignite Operation Tina Colada? So, one last thing. There has been a lot said about Adam’s comments on sleeping with Liana and then picking Tina, and I’m sure you smelt the hypocrisy for miles. I don’t condone his comments and I hope they were in jest but it’s hard to take the uproar seriously when it’s coming from people or organisations who earn their money by judging womens bodies. The whole initial premise of the show is about who you are initially attracted to, not who has the best personality. In an ideal world a girl should have any job AND still be treated with respect. But this is not the ideal world, it’s the real one. So unfortunately if people feel that you fit a certain stereotype, they will treat you in that way. It is the same with the Zara/Miss GB situation and once again it is the girl who gets most emotionally hurt. It may be sad, but unfortunately it’s true. 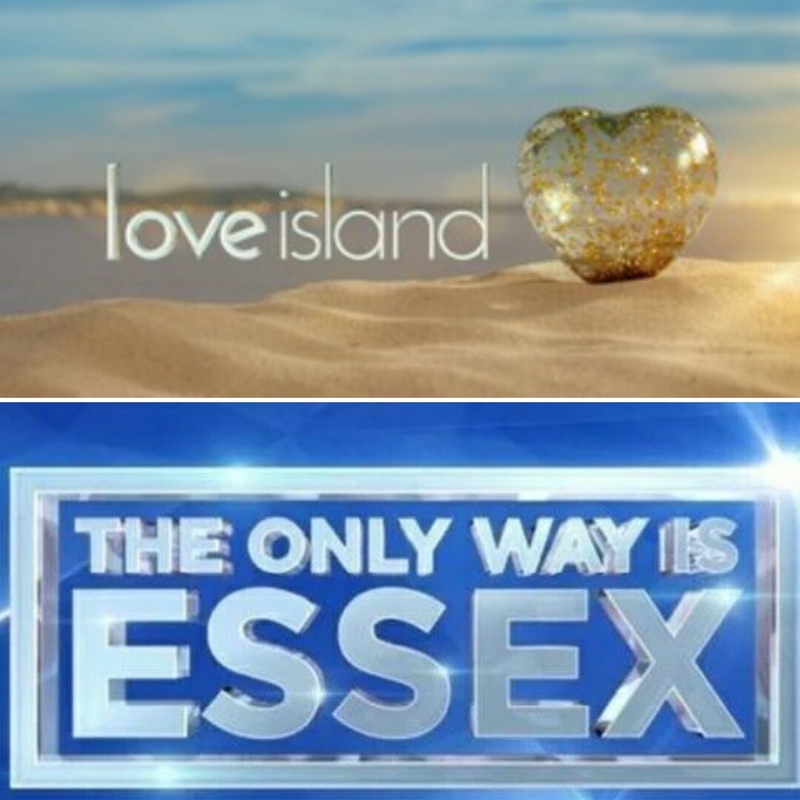 Love Island is on ITV2 nightly at 9pm.